Gyprock - Drywall - Plasterboard holder and lifter. Securely holds sheet at all angles for fixing walls and ceilings. 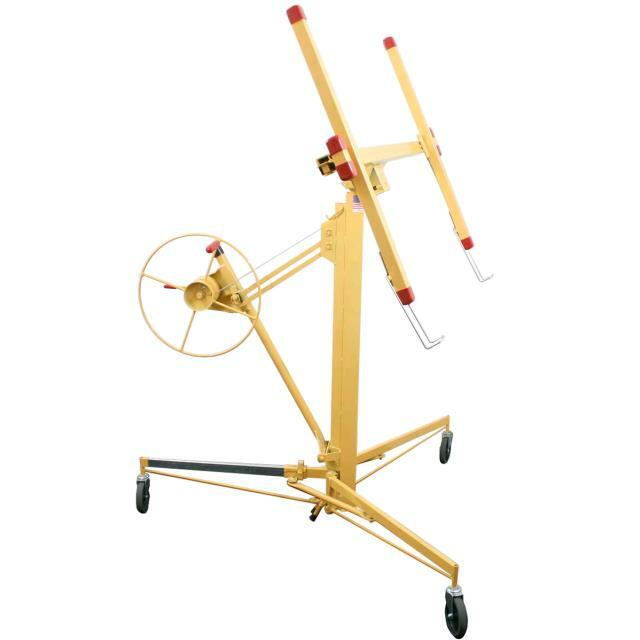 A telescoping, hand operated, hoist that folds easily for transportation. 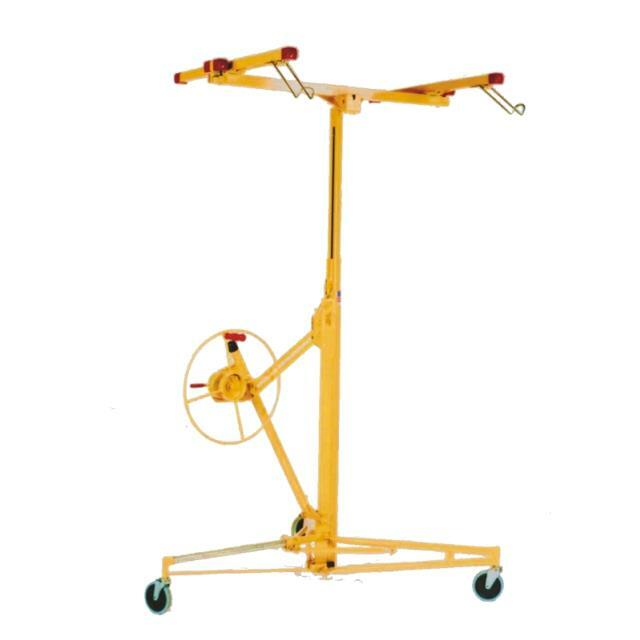 * Please call us for any questions on our panel/gyprock hoist hire & rentals, serving Perth & Western Australia.